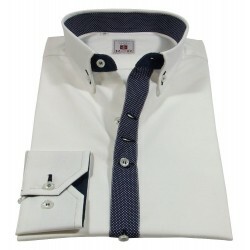 White and blue micro wand shirt with button-down collar. 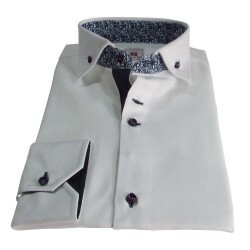 Amaranth buttonholes and style contast. 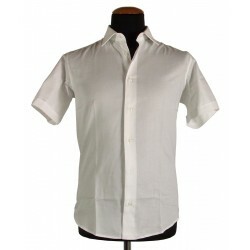 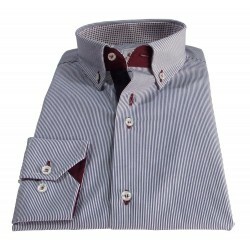 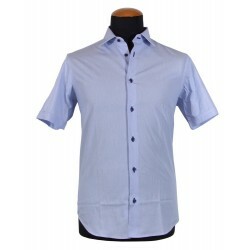 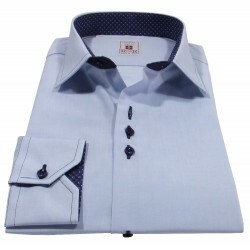 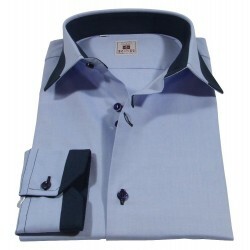 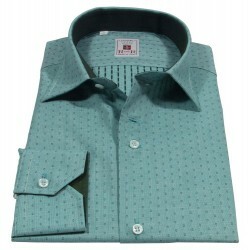 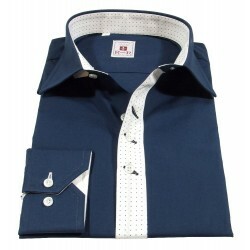 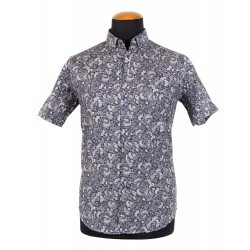 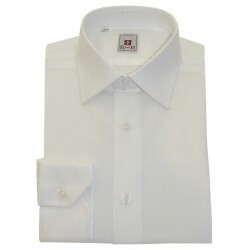 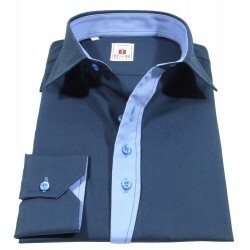 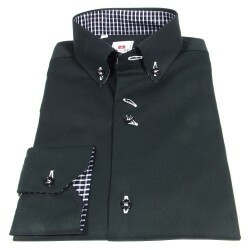 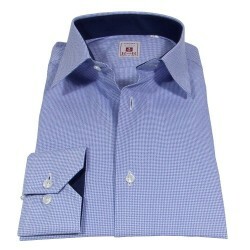 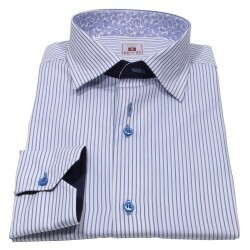 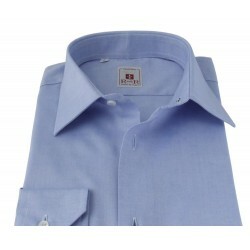 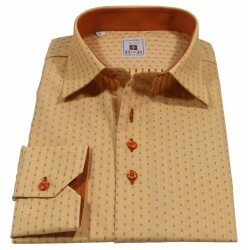 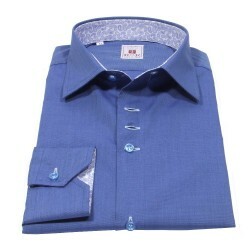 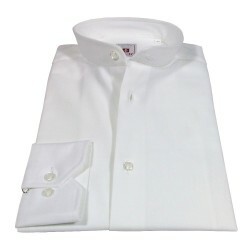 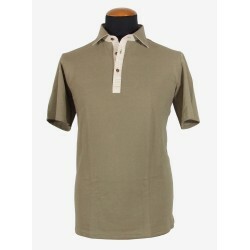 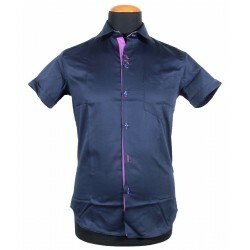 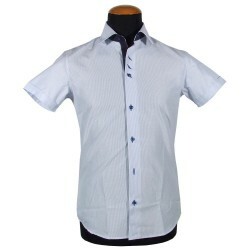 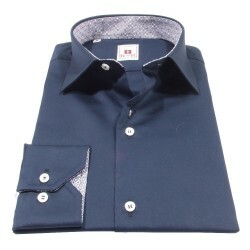 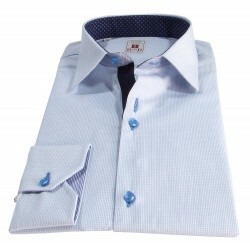 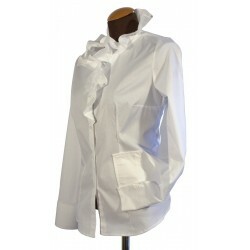 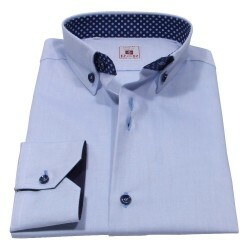 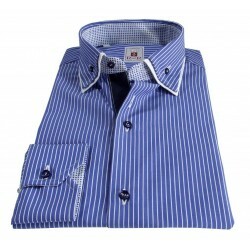 Men's shirt in micro wand white and blue with button-down collar. 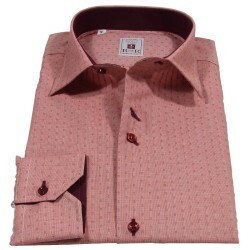 Amaranth buttonholes and style contast.